Summer’s always call for a nice, easy romantic novel to read by the beach or on a train. And after rereading Billy and Me, and keeping it in my bag for such trips, I fell back in love with this first novel by author, Giovanna Fletcher. Now, Fletcher has written other books in her short time of being an author, and each on follows a relatively easy, and similar style of the ups and downs of love, but Billy and Me has held a special place in my heart. So, meet Sophie May, a down-to-earth and kind-hearted young woman who lives and works in the picturesque village of Rosefont, and has been working for years at the charmingly named cafe called ‘Tea-on-the-Hill’. However, for years Sophie has been hiding something. A secret that stopped her from going to university, travelling and gave her a reason to stay in this tiny village with her mother. But, when Sophie meets Billy, a gorgeously talented, up-and-coming movie star, she falls in love, finds a new way of life, and she gets swept up in the life of a Hollywood plus-one. But does Sophie really want to change her set in stone way of life, and go into the world of the celebrity which could force her secret to be revealed? That’s the first thing I must say. And this is not entirely a positive thing, but neither is a negative. Fletcher writes in a very simplistic, exclamation-mark heavy way, which did put me off slightly, and for people who are used to reading descriptive, Pulitzer-pri ze winning writing, this may be just too simple for them. But for a romantic, silly summer read, it is perfect. The characters are a mixed bunch. I found Sophie to be one of those women who you either adore, or just be annoyed by. But what Fletcher did do well is giving Sophie a deep-seated and true set of morals, as she doesn’t just go whisking off to live the ‘easy’ life with Billy, but she has family and commitments that she cannot just abandon. Billy was written well, as his character was flawed, and it takes the reader the entire novel to really notice these flaws, and with Molly, and Sophie’s mum, these were the perfect side characters to dealing with the drama of Billy and Sophie’s relationship. However, other than that, the smaller characters don’t have much depth, and could have been developed more, and been more integral to the part. Overall, Fletcher’s writing is almost too simple, and sometimes fluffy, but it gets the plot through in a fast-paced and interesting way. There are some points that you do have to battle through the sheer amount of exclamation marks, and frustrating use of ‘Bloomin!’, but it is a lighthearted and sweet read to take with you, when you don’t want to tax your brain too much. And, in my opinion, Fletcher’s original debut into the literature world was one that shows a flair of talent that she hasn’t properly developed yet, and that she had a promising start to go on from that. Also, what I find interesting, and what I took from the novel, is how Fletcher may have been influenced by her own life to write Billy and Me. If you, as the reader am unaware, Fletcher is married to long-time love Tom Fletcher, from the pop group, McFly. And the idea of a young girl who was pushed into the limelight could be very similar to how Giovanna felt in the early stages of Tom’s career. So, perhaps that is what makes this novel so touching. That the personal life of the author has seeped into this novel, and makes it slightly more believable. 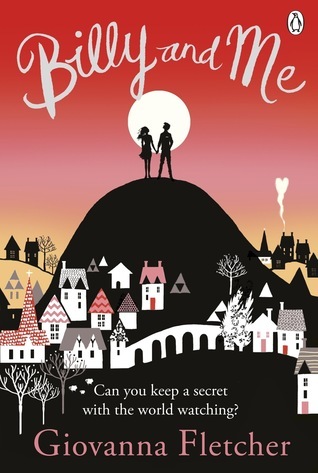 So yes, for all those star-crossed love readers out there, and all those who just love the whole love-triumphing-or-does-it stories, I would recommend Billy and Me, without a second thought. 1: Picture Perfect by Jodi Picoult. I’m sure you’ll love this book! #IAmSizeSexy – First Blog Post and Introduction.